We find ourselves back in Michigan, which will always be home no matter how far away or how long we are gone. The drive in from Indiana went better for Mielikki, she even poked her head up from under Nancy's feet every now and then to look out the window. 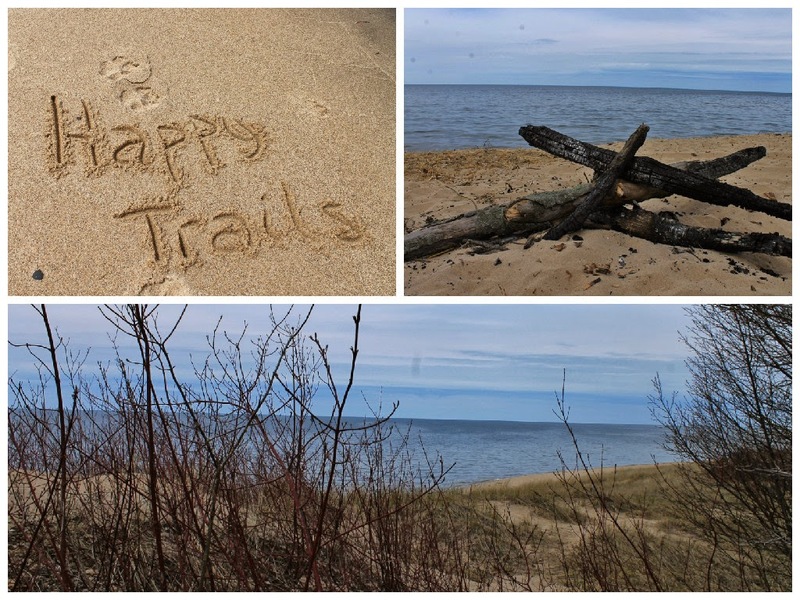 We are on the West side of Michigan, staying in the Holland State Park. It is so very beautiful here, or at least in the Spring. Every time we walk past a fire-hydrant that is marked with a tall pole so it can be found in the snow we are reminded that it is not the Winter place for us! Our first campsite, in Lake Macatawa Camp Grounds, did not have full hook ups so we needed to use our water pump. That may sound simple, and it should be and was before, but this time it was not. The pump turned on but only a small stream of water came out and the pump never shut off - which just isn't good. Using the advice of friends and the internet, along with our weekly call to Brian, the mechanic who sold us the RV we tried everything to get it to work. No luck. So it seems a trip to Camping World for a new pump may be in order. We of course survived the week without running water. Luckily we were close to the public bathrooms, which by the way were very nice. Really clean and lots of room. The showers are individual shower rooms which is so much nicer than the room full of showers. We washed dishes the old fashioned way - heating up water to wash and rinse. We managed quite well, but wouldn't want to have to do this all the time. On the brighter side we did have tons of fun. There is no limit to the beautiful places to visit in the area. First trip out was to Sagatuck, which is a great artsy place. 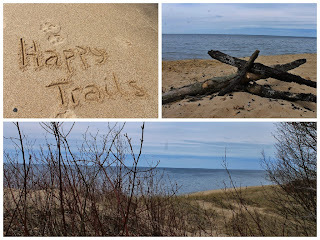 Once again we found ourselves a little early in the season for much to be open, but we did stop at the Sagatuck Dunes State park and hiked out to the lake. It was really windy, so very chilly, but with such a view we didn't care. While on the hiking path we came across these keys sitting on this post and felt so bad for the people who lost them. Can you imagine getting back to your car and realizing you lost your keys in the woods? Of course after hiking we needed refreshment and enjoyed a flight of beer at Sagatuck Brewery. Great beer, and another cool flight board. The brewery is actually in Douglas, not Sagatuck, where we found a park with a little pond that had swans on it - first swans we have seen since leaving MI three years ago. 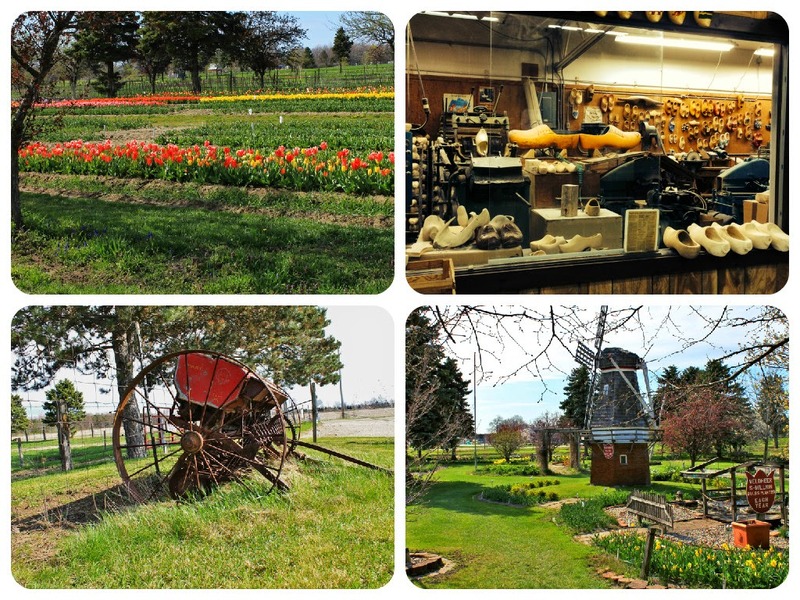 Last stop of the day was at Veldheer Tulip Gardens. 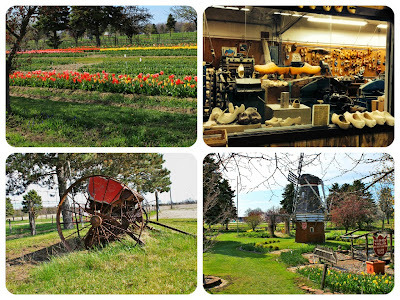 They have a nice gift shop with a wooden shoe factory and you can walk through their gardens to see the tulips. Because we never can go directly to our destination, it took us 5 hours to get to Ludington, and only an hour and a half to get back. The first stop was in Grand Haven, for a coffee break at the Coffee Grounds. We discovered that Odd Side Brewery has a tasting room right next store, but it was to early for it to be open. As we headed out of town we came across the Pere Marquette Train display. This train was built for the Pere Marquette Railroad in 1941. It was used for freight transport between cities throughout lower MI and connecting states. It's strength was measured at 3000 horsepower and it could pull a mile-long train at 50 miles per hour. 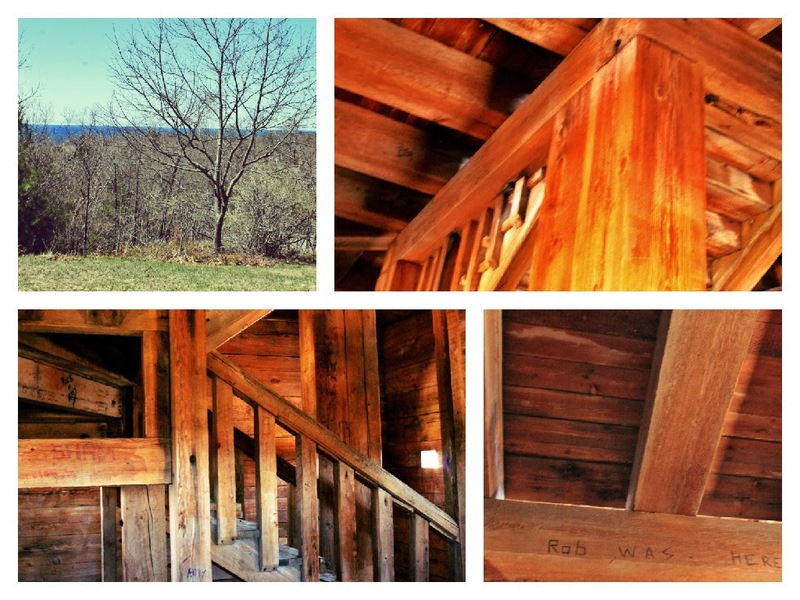 The building in the picture, is a coaling tower and locomotives were loaded with fuel from it. This train was retired in 1951. Silver Lake Dunes State Park was the next stop, you dead end at a large sand dune, which was pretty cool. While driving along Lake Shore Dr we stopped for a few pictures - a rough lake and of course you knew there would have to be tree roots. 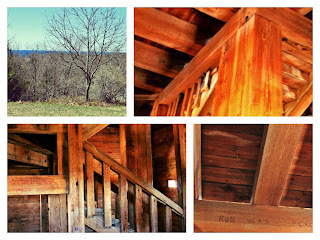 We also came across this cool lookout building, we were really sad that is was locked but Nancy was able to get some shots of the inside through the small windows. The view was really nice. A quick stop in White Hall for a picture of the light house and museum. More lumbering giants greeted us just outside of Ludingotn. We finally made it into Ludington! The crews were busy getting the beaches ready for the season. They had these large piles of sand all over the beach as they tried to control Mother Nature. Wonder what it looked like after the storms came through a few days later. The Ludington Light House has always been a favorite. Mielikki wanted to get out and play on the beach. 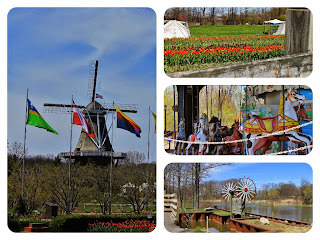 We landed in Holland just in time for the Tulip Festival, it is a week filled with activities and of course tulips. There are 3 different parades, a carnival, tours, baseball games, Art and Craft shows, concerts and more all week. We enjoyed a few of the festivities. 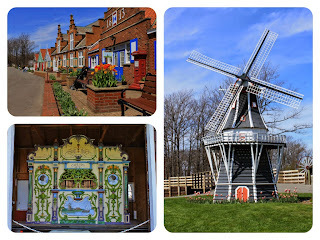 First, Windmill Island, even Mielikki enjoyed it. 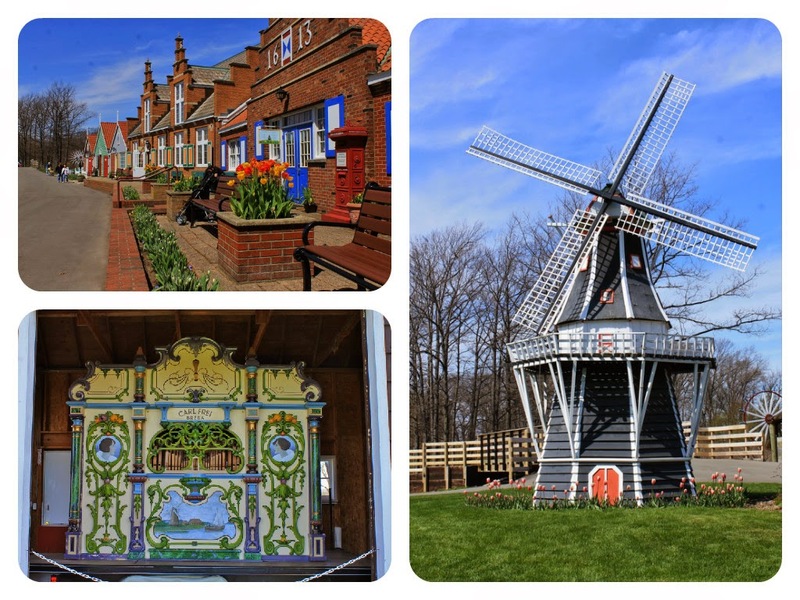 It's a small village with tulips, two windmills, a carousal, a player organ from the Netherlands, and a river that runs through it that has a working dike on it. A Vintage Baseball Game was another - the game was between the Douglas Dutchers and the 3rd Michigan Volunteer Infantry Company F. The games are based on 1875 rules and they were in 1875 uniforms. 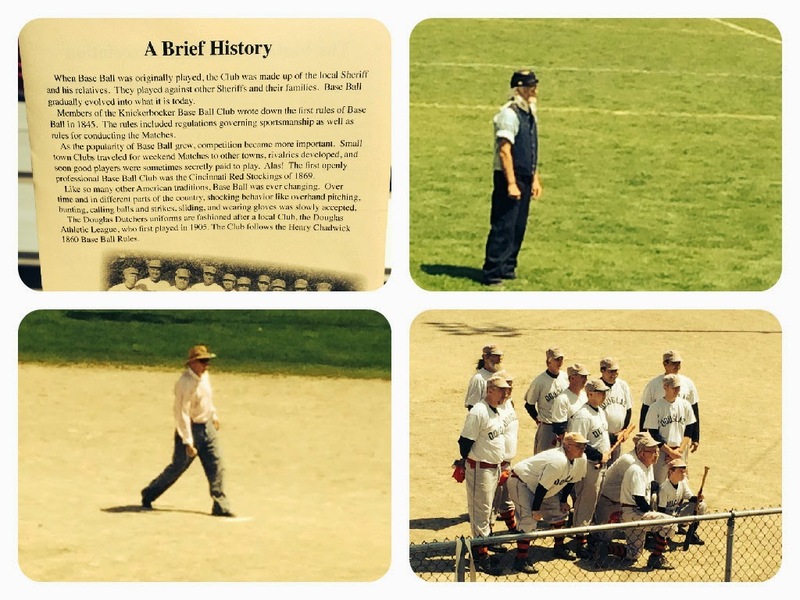 The ball is made like it was back then, a small rubber ball wrapped with twine. It was interesting to watch, but still a baseball game and Nancy was pretty bored. Our Brewing Company was in order after a ballgame. They have one of the best hard ciders we have ever had. 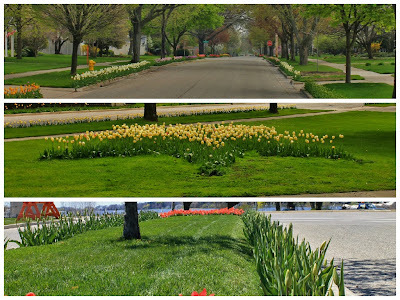 Meandering through downtown Holland is what is called Tulip Lane. It is a driving tour of 10 - 12 blocks that are lined on both sides with Tulips. We are talking 1000's of tulips. It is so pretty. There was a huge Arts and Craft show in Centennial Park that was great fun to browse. Nancy found a new hat from one of the vendors. A much needed accessory with all the wind we have been having. Our last morning at Lake Macatawa Camp Grounds found us with more troubles. We were trying to move to the full hook up site at the Beach Campgrounds, just a mile down the road. But, one of our hydraulic jacks had other plans for us. It wouldn't lift up which makes it really hard to drive. We again followed all the advice we found on the internet and put a call into our favorite guy. Nothing worked - fortunately no one was scheduled to arrive in our site so we stayed put. The next morning we did all the same stuff as the day before and this time it worked. Off to full hook ups we went and what we hoped was clear sailing. We did get to see the sun set that night which was a great ending to our first week. ~ invest in a large water carrier so you have one on hand when you find yourself with no running water. ~ lubricate your hydraulic jacks periodically to keep them working better. ~ if you don't love your crockpot like I do - learn to. It is great coming back from exploring all day to a ready to eat meal. Some days we were so tired we would never have cooked and ended up eating out, which isn't good for the wallet or the waistline! I used to have a friend in White Hall who had stories about people breaking into that fort ;) And my Jack would LOVE that train!